So what keeps you up at night? A horrible boss? A snarky neighbor? Realizing someone other than yourself might eat that last Boston cream? For me by and large it’s familial relationships. Specifically the undercurrents which percolate at any given time amongst my siblings, or those lower down the food chain. Who said what to whom, who’s no longer speaking, what new alliances have formed, etc. 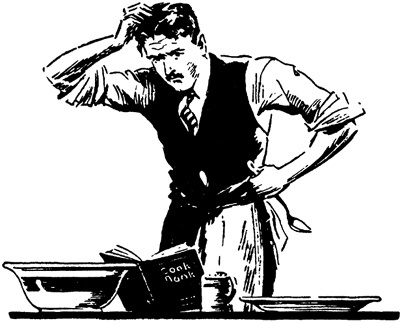 During my waking hours I merely shrug when I think about it all. But as I lay in bed at 2:30am, it tends to become outsized and more distressing than it realistically needs to be. I suppose I should be grateful. Since last year’s election, a good many of my close friends complain about Donald Trump and his administration giving them fitful nights of sleep. I’m probably as engrossed in the news as any of them, but fortunately he hasn’t done that to me — yet anyway. Recently, though, something else managed to bump family members from my nighttime anxieties: the Equifax cyber breach. The more I read about it, the more concerned I became about my credit identity being exposed. Identify theft is real and so are the many stories of people who’ve spent years working to repair their financial health. I read about them and realize that but for the grace of a higher power, plus fortuitous luck, I too could suffer from the same set of frightening circumstances. 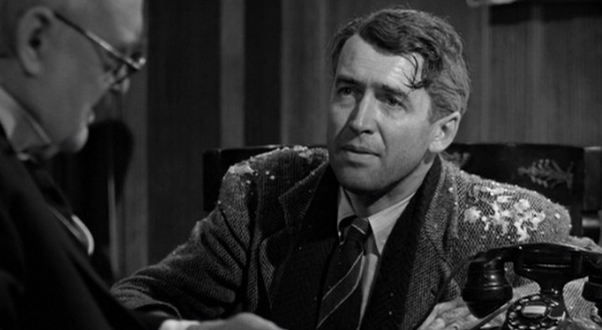 We all unwittingly place a certain amount of faith in these mysterious credit agencies, assuming or at least hoping that they play a kind of George Bailey-like persona in caring for our collective and financial well-being. Really, Marty? George Bailey? In today’s corporate climate? Please. Okay, okay. I’m goofing on you. No one actually thinks this way. The interactions we have with credit rating agencies are mostly tangential although sometimes adversarial too. We’re aware of them when we apply for a mortgage or some other kind of financing. Others among us, myself included, feel their vast reach after a divorce, when years later you discover that you’re still listed as a co-signer on a Macy’s or Bloomingdale’s store charge. Just try getting them to correct the information is challenging to say the least. It can be worse than dealing with the government. And by way of nothing, what kind of a business name is Equifax anyway? Or Experian for that matter? Even TransUnion is suspect. Would it kill them to use words like “trust” or “fidelity” in their names just to give us some hope? I’d suggest “security” too, but Equifax has already proven it can’t live up to that one. So after weeks of following this in the news and talking to a close friend about it (Hi, D), I finally concluded once again that this too is really all about being able to sleep at night. After much deliberation I decided to enact a security freeze on my credit history. It’s admittedly a rather severe step. But if I’m going to be awake at night I’d prefer it be about a sister not responding to a recent email instead of some 400 pound guy opening up new credit cards in my name. I understand that I could do nothing and instead just monitor all of my banking and credit card information. This is what all of us should be doing anyway. Additionally, thanks to previous hacks on my former employer and a past health insurance provider, I am the beneficiary of two credit monitoring services which report back to me whenever they notice something suspicious.¹ Both of these measures should really be enough, especially since Equifax can only confirm that my data may have been exposed to hackers. They really don’t know for sure. Nevertheless I decided to enact a freeze. With the recent purchase of our new home, my current credit rating isn’t anything I’m really too worried about now or in the immediate future. Both Gorgeous and I each have credit cards, and I have an open line of credit with a credit union account that I’ve had for many years. We are at least theoretically speaking fine. At some point in the next couple of years we will probably need to buy a new car. I checked with my credit union to ask how freezing my credit would affect getting a car loan. They said that all I would need to do is unfreeze my report with just one of the credit bureaus (hilariously, in their specific case it’s Equifax), and they can then pull my current rating. Afterwards I can immediately replace it back to its previous frozen state. It sounds eerily similar to some of my early cooking attempts. The actual process of enacting a security freeze is relatively easy. In all three cases it was simply a matter of going to the credit bureau’s web site and answering a few questions to confirm my identity. I was later given a special pin number to use should I ever need to request either a temporary or permanent removal of the freeze. After an initial blowback from outraged consumers who were actually charged for this process, Equifax wisely waved their fee. However, both Experian and TransUnion continue to each charge $10 for the service. Depending on the state in which you live, there is yet another charge to request a temporary or permanent removal of the freeze. Gorgeous has yet to make up her mind on whether she’ll follow my lead. In her case, I think there’s a lingering concern that she’ll find it too restrictive. This is my delicate and diplomatic way of implying that there are yet new stores for her to visit which might offer incentives in opening a store charge. Hey, it is all about someone’s personal comfort zone after all. 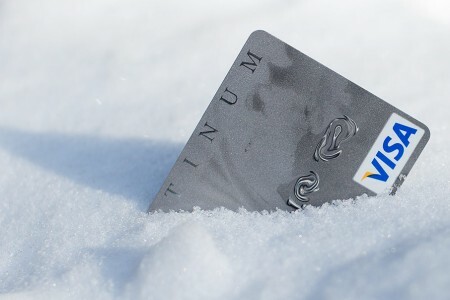 So whether you choose to freeze yourself or not, please do be vigilant in watching your credit card statements and debit card purchases. And if you’re a family member of mine? Will you just pick up the damn phone and call me already? We need to talk, and I need to get some sleep. ¹ One of them even provides me with detailed information on sexual offenders in my immediate neighborhood. I’m not exactly sure why they do this since they’re only supposed to be monitoring my credit. But I suppose I could start thinking differently about whether my wallet should go in the front or back pockets of my jeans when I’m outside. We live in interesting times. I’ve struggled with this decision too. It all gets so complicated and scary. Equifax told me I “probably wasn’t” breached. Should I take comfort in that? I much prefer worrying about other stuff…like whether I need another pair of red shoes! They told me I “probably was.” Enough for me to freeze. But I can assure you, Kate, I’m not taking any comfort in what I did. I consider myself still vulnerable. Get those red shoes and credit scares be damned. I froze all three accounts two weeks ago, then I ordered my credit report from all three. So far, I’ve received one report and it appears to be in good shape (so yay for me). At this point in our lives, I don’t foresee needing to unfreeze any of them, for any reason, any time soon. Oh, we also “opted-out” of pre-screened credit card offers. The problem with credit monitoring is that any alert of unauthorized use would be after the fact. Yay for you! Yes, credit monitoring is after the fact. But it’s at least something. Another bonus from freezing your credit: those slimbag credit agencies don’t get to make money selling your data. I started the process, then freaked out about the possibility that the sites I was visiting were the actual websites! So I put the whole deal on hold. Glad you guys have gone before me…guess I’ll try it again tomorrow! I was the same way too, Lynn. I didn’t even want to check at first because I was worried I was going to a fake site. Talk about paranoid! But legitimate paranoid in my opinion. So, yes, I had mine on hold for a bit too. Good luck with your effort! Okay Marty, I had been sleeping well at night. Now I have something new to worry about. Argghh. I am definitely behind the times here. Thank you for the wake-up call. Yikes for both of us, Donna. A friend of mine (the mysterious “D” I mention in the post) was the one who lit a fire under me. He was all prepared to enact a freeze, and then he checked with Equifax only to find that he and his wife are NOT affected (according to Equifax anyway). That rat! So I tossed and turned on it on my own for a couple of weeks until I decided I needed to finally do it. Oh, if life were to so easy… I love it, Vy! I know Marty how did we all got by without them? Honestly, you’d have to go back to the eighties to live in a time when it wasn’t necessary (and even then it was getting harder). Try buying a plane ticket now with just cash — practically impossible! Go back to carrying cash only…stop watching the news…leave social media and the Internet behind…oh wait, that would mean quitting my blog…never mind! It all keeps me up at night. Maybe I’ll just freeze myself. At least I’d get some rest. I need some inspiration! Thanks! Everything is amplified at 2:30am. Whisper in your hear because a screm inside your head. You should try sleeping through the night and avoid all that unpleasantness. Think about what those Equifax bastards accomplished. They took our personal information without asking and monetize it. They made billions and then let it all be thieved. I’m getting all worked up just typing this. I put a freeze on our credit at all three agencies. Don’t know if it’ll do any good, though. The horse is out of the barn. I know it galls me to no end. For the most part I have no problem locking everything down because I have all the lines of credit I could possibly need. But as you say, I’m not certain even freezing it ultimately protects a person. The Internet is decidedly a mixed bag at best. Great post, Marty. I had no idea one could actually freeze their credit. This is one proactive move that could make a big difference. Thanks, Joanne. For me it’s not such a drastic notion, really. But I think for my wife it’s perceived as confining. So she’s thinking long and hard about it. I’m not sure what she’s going to do. You’ve got to take care of your own (pocket, sanity, house, credit). My ID was stolen twice and fake checks written in my name. As for the familial relationships, life is relationship. Ouch, sorry for your theft troubles. Yeah… you can’t totally avoid family issues. Yes, more than one person now has “thanked” me for giving them these thoughts (oops). I have a sister who didn’t get an ATM or debit card till sometime around 2005 or so. She fought it for years thinking she was protecting herself. Then I pointed out to her how all those checks she writes are also making her vulnerable because her account number is written right on it. After staring at me for several minutes, I believe her response was a light-bulb moment of, “Oh.” Basically we’re screwed either way.